Being pregnant and having cookie dough cravings is tough. I can't risk the raw eggs...even though I usually sneak some dough when I am not pregnant. 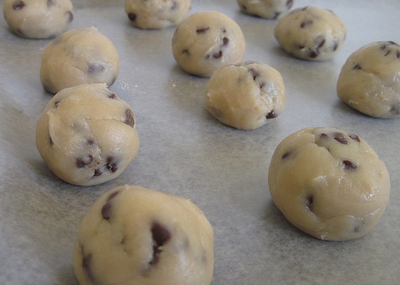 So here is a heavenly recipe for Cookie Dough Truffles. They taste just as good, just without the eggs! These are too good! Heaven!